Solid steel 1/4" flat stock. These doors are cut to fit inside the stone face. These doors have screen doors to keep the sparks in. 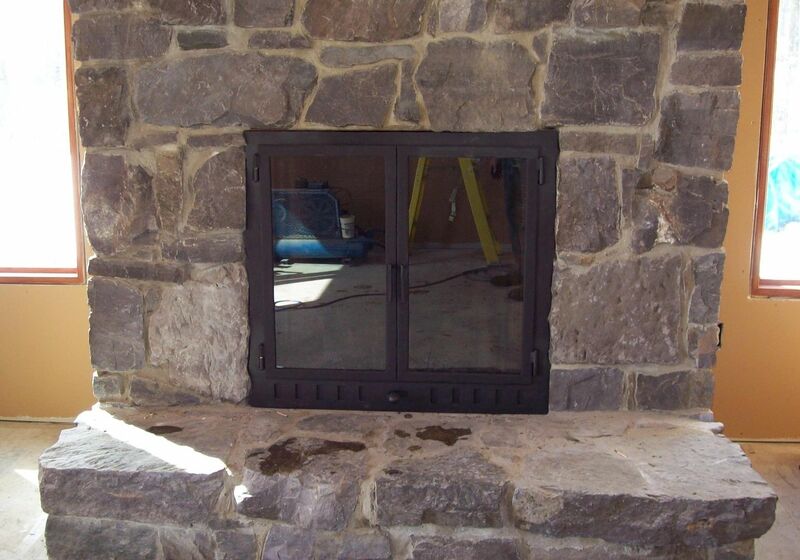 Vented doors allow for good burning without heat loss.